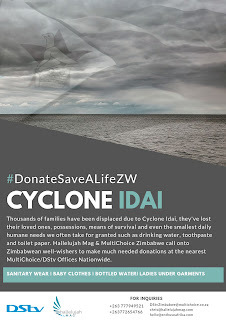 HARARE, ZIMBABWE: This week, award-winning Christian news outlet, Hallelujah Mag and Multichoice Zimbabwe kicked off a combined effort to raise donations for those affected by Cyclone Idai through the #DonateSaveALifeZW Charity Drive. The call encourages well-wishers to help with assorted toiletry items for the thousands of families who were affected by the tropical cyclone, chiefly in Manicaland province. Sympathisers can donate sanitary wear, bottled water, baby clothes, children's toys, ladies' undergarments and toiletries. 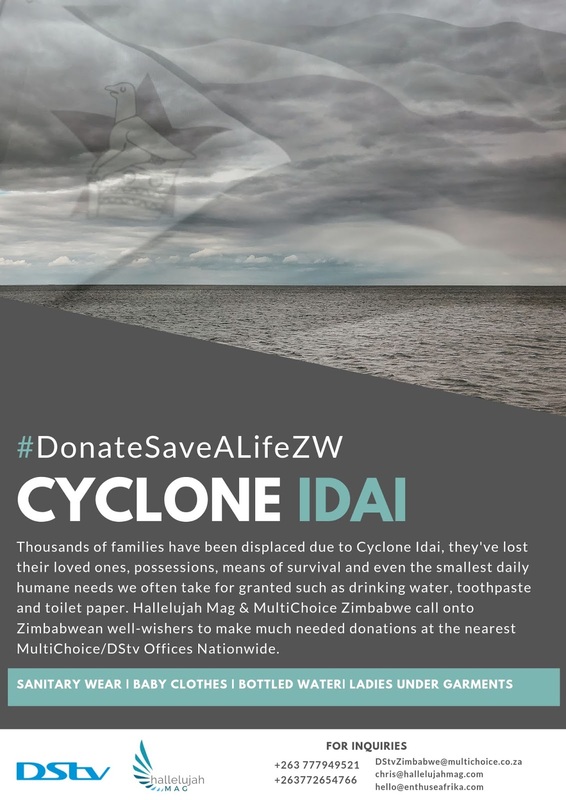 Donations can be made at all MultiChoice Branches nationwide and will be collected and delivered to the Highlands Presbyterian Church in Harare for on-going distribution by the Miracle Missions Trust. Hallelujah Mag is Zimbabwe’s biggest award-winning Christian news tabloid and is a project of Enthuse Afrika; a group of digital storytellers dedicated to writing Africa on the continent.